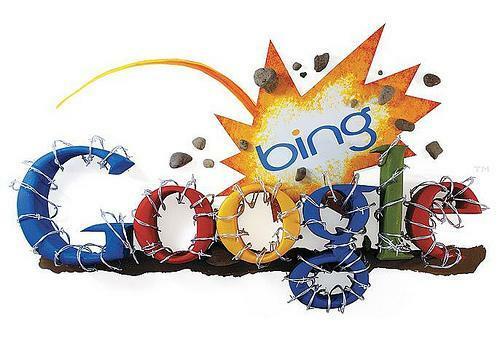 Is Bing Ads too much better than Google Adwords? Why Bing Ads are Preferred more as Compared to Google Adwords? For many Google Adwords is not the thing that serves their purpose and so people are looking for various options. One of the widely adopted is Bing Ads. Like as Google Adwords, Bing Ads can also be a wonderful opportunity for any business. Here, in this blog post we have listed some reasons regarding the preference of Bing Ads over Google Adwords. Talking about Pay per click cost, Bing is cheaper as compared to Adwords. The popularity of Google Adwords is so high that these Bing Ads are often forgotten by marketers. However, both have their own positive negative points. Low Cost per click rates: At present, the peculiarity of Bing Ads is its low CPC as there is very less competition on Bing as it is hardly used by any of the marketers. One can get a better ad placement at less cost as compared to that spent on Google Adwords. It is easier to target devices with Bing Ads: If you wish to target tablet users as well as mobile and laptop users then Bing is the perfect choice for you as it makes multi device targeting much easier as compared to Google Adwords. It is advisable to go with Bing Ads if your target audience is those who use multi devices. One can easily know the Ad flow: Bing allows its advertisers to select from Bing or Yahoo as a target base. One can also select both for advertising. Bing allows its advertisers to see where their ads are getting displayed. A report is run which can be used to identify the potential partners and also it is used to scrutinize the partners with whom advertisers actually are interested in working. Offers better demographic Targeting: Well there are certain businesses that target to particular age group or gender. Bing allows advertisers to target people demographically and this facility is absent in Google Ads. For businesses reaching to a certain age group is definitely a boon which will render them lots of benefits. It is highly useful for those who have a well established target audience. Is it recommended to use Bing Ads instead of Adwords? There’s no perfect recommendation as to what should one must use for their business. Yes, Bing Ads provide potential gains however still it depends on the personal preference as well as the business objective. But, at present if you are using Google Adwords then it is not recommended to get completely shifted from Adwords to Bing Ads. Be it Bing Ads or Google Adwords; both are useful for advertisers. It depends on the business need as to what is preferred the most. To make most use of Google Adwords, it is advisable to get assistance from experts. Platinum SEO, Professional SEO Company Adelaide can guide you in this matter. Get in touch with them today to get maximum benefit from Adwords.